[ Henry James, American author. ] Two unpublished photographs of James at the end of his life, from the papers of his friend Sir Frederick Pollock.
] Rye, Sussex? ] Undated, but taken in the last few years of James's life. In frame with label of W. A. Mansell & Co., Frame Makers, 405 Oxford Street, London. The two black and white photographs are in good condition, mounted one above the other in a handsome 25 x 20.5 cm brown wood frame by Mansell & Co. Very well mounted, with the dimensions of the cut-out section of the brown mount being 7.5 x 12.5 cm. Including six postcards 'Copyright, Ono-Banzaikan, Ginza, Tokyo, Japan.' and one 'TRADE MARK K.P.C. YOKOHAMA JAPAN'. None of the others with European attribution. None dated [all early twentieth century]. A contemporary oriental album, 19 x 27cm., with oat cloth boards, green ribbon and embroidered spine, containing a beautiful collection of vintage 9 x 14cm. postcards in near-mint condition. None of the postcards has any manuscript marks or sign of postage. [Rolleston family, Rydal, Westmoreland. ] Typed transcription of 'Notes made by Anne Rolleston on a visit to her brother Robert Rolleston, Curate at Rydal', with seven 'Photographs, taken 80 years later. By Ellinor, daughter of Robert Rolleston'. Typed transcript of 21pp., landscape 8vo, followed by six 9.5 x 12 cm. black and white photographs, captioned in pencil and detachable, with the seventh photograph on the front cover. In card landscape 8vo album with green cloth spine. In fair condition, lightly aged and worn, except for the cover photograph which is heavily worn. In pencil at front: '1850 | Notes made by Anne Rolleston on a visit to her brother Robert Rolleston, Curate at Rydal.' The location of the original diary is unclear, and there is no record of its having been published. The first entry sets the tone: 'Thursday, Oct.
[ Girl Guides in 1930s Britain. ] Album of photographs of a company of Girl Guides camping at a number of locations including Foxlease in Hampshire and Tarrant Keyneston in Dorset, taken between 1929 and 1936, compiled by 'E. Tait'. The photographs mainly taken at Foxlease in Hampshire, but also at Tarrant Keyneston, Dorset, and other locations. Between 1929 and 1936. 189 black and white photographs, ranging in size from 15 x 10.5 cm to 4.5 x 7 cm, loosely inserted (i.e. not mounted but removable) on the fifty leaves of a 20 x 30 cm album. While the photographs themselves are in good condition, the album is somewhat worn and aged. Painted in large Gothic letters at centre of front cover is 'Camp Snaps'; with the name of the compiler 'E. TAIT' at top right. Inscribed inside cover 'From “Porky” | September 4th, 1934'. The leaves of the album are made of thick black paper, and more than three-quarters of the photographs are neatly captioned in white ink. [India.] 32 black and white photographs of India, showing prominent buildings and street traders and entertainers in Delhi and Calcutta. Calcutta and Delhi, India. Undated [1940s?]. Six larger photographs (all 12 x 10.5 cm) and twenty-six smaller ones (between 5 x 7 cm and 5.5 x 8 cm). In fair condition, lightly aged and worn, on three leaves removed from an album (the smaller photographs on mounts and the larger ones laid down. The larger photographs have pencil captions, and a few of the smaller photographs have ink captions (for example, 'Taking a drink - Calcutta', 'Is that Ghandi? | The women are carrying dried dung for use as fuel.'). 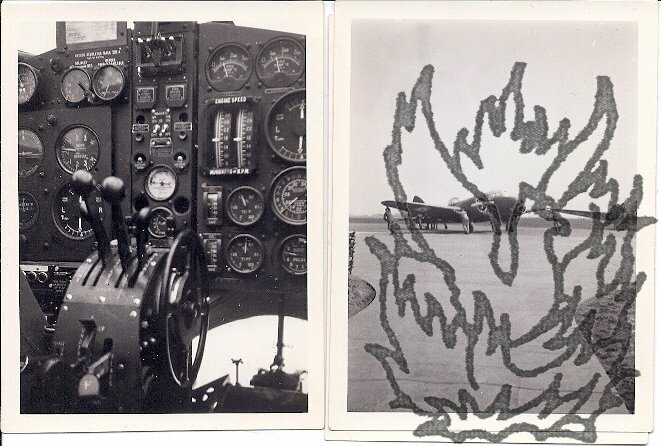 The smaller images appear to be photographs of photographs, with captions. Underwood & Underwood, early producer and distributor of stereoscopic and other photographic images. 72 stereoscopic views of aspects on the Second Boer War, numbered 1-72 inclusive, hence assumed to be a complete set, in custom-made box with image of a (soldier's) belt, with a motto, "For Empire Queen and Flag" within the belt-circle, and "South Africa | 1900, within the image and a motif, "Sun Sculpture" within a rising sun. [The National Army Museum catalogues one of 89 that they have as "produced by Works and Sun Sculpture Studios, 1900" for Underwood & Underwood. 1p., 12mo. In good condition, on aged and worn paper, folded twice. Written in a late Victorian or Edwardian hand. The 'Address' is an interesting survival: the sort of ribald saloon-bar joke through which male opponents of the movement sought to tame it through ridicule. Similar examples survive, attributed to Lady Astor speaking in parliament, but this version clearly predates these. Here is a transcript of what is a concentrated dose of double-entendre: 'Mrs. 'A & R Branch | A. G. Dept | General Post Office (North) | London | E.C.' Issue 16, undated [c.1902]. 99 +  pp., 4to, of which 31pp. are original photographs, on grey card mounts, each with tissue guard and manuscript caption in white ink. A further five small photographs laid down on pages of the typed text. In very good condition, on aged paper, in modern green leather quarter-binding with cloth boards and misleading title on spine 'THE BUDGET | CAMBRIDGE' In a contemporary hand on leaf preceding title-page: 'Please return to | Chas Nunneley | (Room 1, 3rd Floor) | A & R Branch | A. G. Dept | General Post Office (North) | (London) | E.C. | or to | C. O. Three large mounted black and white photographs of the 'Lakhimpur Battalian, Assam Military Police', 1891, showing 'Gurkha Recruits' on parade, and officers with names. All three photographs dated from Dibrugarh, Assam, 18 June 1891. Each of the three photographs measures roughly 19 x 23.5 cm, and each is mounted on a piece of card roughly 29 x 35 cm, with a decorative red border around the photograph. The photographs are lightly-faded but in good condition, on aged and worn mounts. Each mount is stamped in purple: 'Lakhimpur Battalion, | Assam Military Police'. In contemporary manuscript, in the bottom left-hand corner of each photograph is 'Dibrugarh | 18.6.91'. Material mainly relating to the Second World War and the Battle of Britain, from the papers of Flying Office Robert French Helm, Royal Air Force, including autograph material, photographs, tables. The photographs date from the 1940s; the rest of the material circa 1960. Helm's promotion on 3 September 1940 to the rank of Flying Officer (41020) is recorded in the London Gazette, 15 October 1940. After the war he joined the International Civil Aviation Authority, working in Iran and Zambia, and was elected to the Membership of the Institute of Navigation, Royal Geological Society, in 1971. A total of 59pp., 8vo, of pencil notes and tables by Helm, relating to the RAF in the Second World War, with 6 original photographs. Photograph of a young Paul Rogers, inscribed as 'Bottom' to the actress Jill Balcon as 'Titania'. Black and white photograph. Dimensions 15.5 x 21 cm. In good condition, with slight wear to edges. Head and shoulders studio shot of a fresh-faced Rogers, looking slightly upwards with enigmatic half-smile. Caption, at foot, reads, 'To Titania from her loving Bottom.' Rogers acted in several of Jill Balcon's father Michael's films. [1920s?] 'Published, printed, and engraved by the East African Standard, Limited, Nairobi, Kenya Colony. 4to, 27 pp. Stitched with red thread. 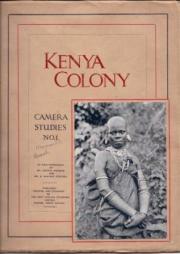 In original buff wraps, printed in red and black, with photograph of a Masai woman tipped in on front cover. Fair: slightly dog-eared, in worn wraps, with ownership inscription on front wrap. Printed on twenty-six leaves of art paper. Consisting of a covering page of text and 24 pp of captioned black-and-white photographs, two to each page, with two pages of advertisements at rear. Photographs of wildlife and members of the Meru, Masai, Wakamba, Samburu, Turkana, Waikikuyu tribes. Printed on rectos only, except for last page. 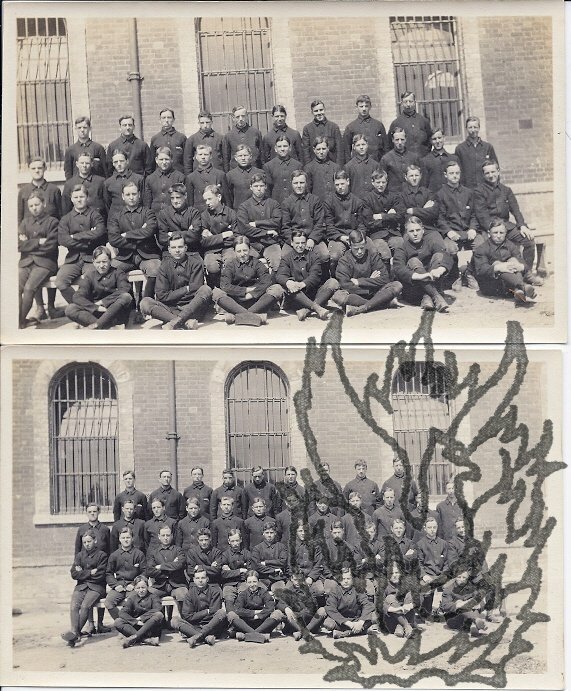 Nine prints of group photographs of inmates at the first Borstal Prison [at Borstal, near Rochester, Kent] and six of inmates at the second Borstal Prison, at Feltham in Hounslow. With two of a portrait of a prison officer. With the six negatives. All photographic prints and negatives roughly 8.5 x 14.5 cm. Prints all black and white. The collection aged, but in good condition overall. The pictures of inmates all landscape, and the two of the officer portrait. 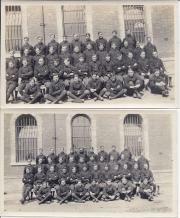 The boys are arranged in three or four rows, with as many as forty present in one image. The images are all taken outdoors and in front of prison buildings, the windows in the Feltham images being barred, and the windows in the Borstal images plain glass. Seven original prints of photographs of General Sir Henry Horne addressing the First Army of the British Army of the First World War at Ranchicourt in France in August 1917. Each print is in black and white, landscape and 17.5 x 23 cm. They are lightly-worn and in fair condition. Part of a series of British official war photographs (one was published on 26 January 1918 on p. 469 of Part 180, Vol. X, of 'The Great War' magazine), and each numbered between S480 and S501. 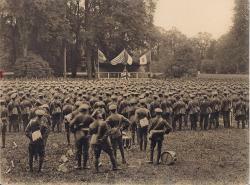 Shots of troops marching past the Chateau, of a large body of men in battledress standing in grounds, being addressed by the General and a padre, standing at a rostrum draped with the Union Flag and other allied flags, with officers seated beside it. 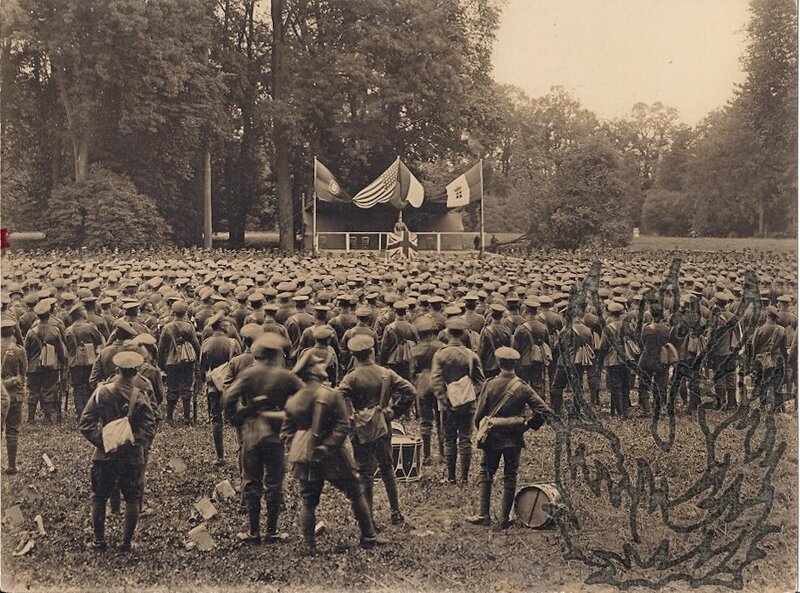 Sixteen original prints of photographs of General Sir Henry Horne addressing the First Army of the British Army of the First World War at Ranchicourt in France in August 1917, including three prints forming a panorama of the whole scene. Each print is in black and white, landscape and 17.5 x 23 cm. They are lightly-worn and in fair condition; one has a short closed tear and another a vertical crease at one side (neither of these in the panorama). Part of the same series of British official war photographs (one was published on 26 January 1918 on p. 469 of Part 180, Vol. X, of 'The Great War' magazine), and each numbered between S480 and S501. 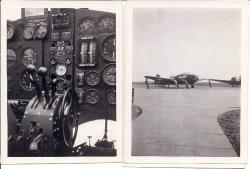 Six original black and white photographs, all captioned on the reverse and dated April 1940, showing the RAF South Cerney Aerodrome, Gloucestershire and its Airspeed AS.10 Oxford training aircraft. April 1940. RAF South Cerney, Gloucestershire. The six small black and white photographs are all in good condition in a Kodac 'snapshot' card wallet. The captions, in pencil on the reverse and all dated 'April 40', read: [ONE] 'Aerodrome at South Cerney' [an aerial shot]; [TWO] 'Officers' Mess No 3 F.T.S. S. Cerney' [exterior of building]; [THREE] 'Oxfords at No 3 FTS' [three grounded planes]; [FOUR] 'Interior of Oxford' [instrument panel]; [FIVE] 'Interior of Oxford' [back of seats and instrument panel]; [SIX] 'Oxford at No 3 FTS' [grounded]. Forty-five glass slides of photographs of British nineteen-twenties dairy production. All forty-five slides bound in 8 cm glass squares, with the black and white images themselves in good condition and unfaded. The slides, apparently from a newspaper picture library, all carry the label 'M57 637.1 Box 286', and are almost all captioned in manuscript. A good range of photographs, apparently taken in the nineteen-twenties. Twenty-one glass slides of photographs of the funeral procession of King Edward VII through the streets of London, 1910. All twenty-one slides bound in 8 cm glass squares, with the black and white images themselves in good condition and unfaded, with only one slide damaged (glass shattered in a corner, not affecting image). All with labels numbered 394.5. Three glass slides of photographs relating to the wreck of the SS Schiller off the Isles of Scilly, 1875: 'Lifeboat in which Survivors came ashore', 'Digging the last graves' and 'A funeral'. [1875.] Gibson & Sons, Penzance & Scilly Isles. Three striking unfamiliar photographs (the last two in particular excellent compositions) of a significant historical event. The three slides are bound in 8 cm glass squares, with none of the glass shattered, and the images themselves in good condition, clear and unfaded. Each mount carries the stamp of the photographers Gibson & Sons. With numbered labels carrying a shelfmark. Each mount titled in manuscript. ONE: ' Schiller" wreck. Lifeboat in which Survivors came ashore'. Five mounted publicity sepia photographs of Great Eastern Railways dining facilities: showing the interior of restaurant cars in the first and third class compartments, the first class smoking saloon, the kitchen, and an exterior shot of the cars. The five photographs are all in sepia and 15 x 20 cm. Each is mounted, with a 17.5 x 22.5 white backing, on a piece of grey 25 x 30 cm card. Each is neatly captioned in black copperplate, with red underlining. The photographs are all in good condition, on discoloured and worn mounts. The items were clearly produced for display by the company, as they all have pinholes in their mounts. The captions read: 'G.E. Rly Restaurant Cars.' [exterior shot]; 'G.E. 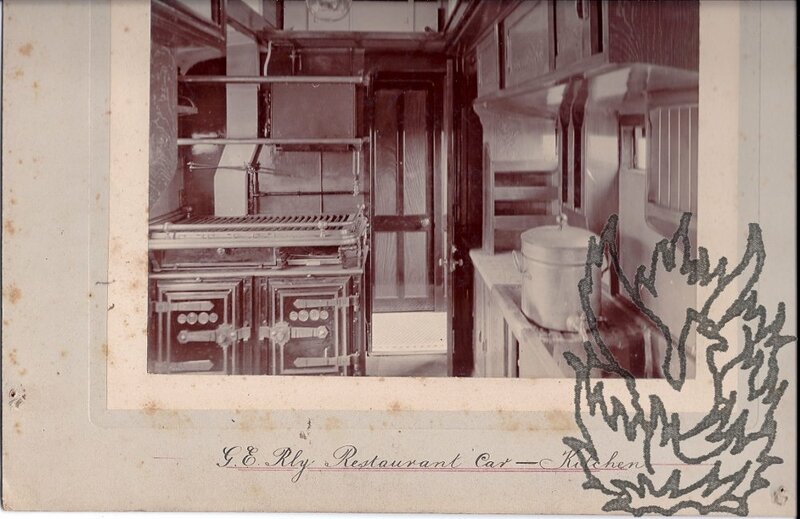 Rly Restaurant Car - Kitchen', 'G.E. Rly. Restaurant Car Third Class Compartment', 'G.E. Rly Restaurant Car. 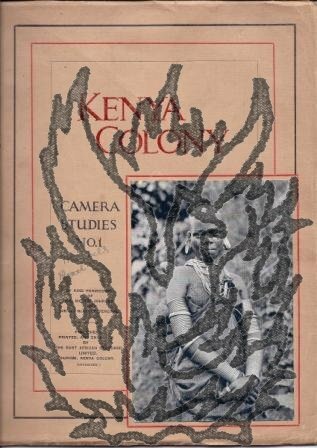 Publicity photograph inscribed to Ken [Williams, Penland Golf Course, Cardiff]. Posted from New York; no date. African-American entertainer and film actor. Minor parts in at least six films in the 50s and 60s, including Dreamboat and Sweet Charity. The photograph measures roughly seven and a half inches by nine inches. Charming shot of a smiling Radcliffe, besuited and behatted and with hands crossed over knee. Stamp of Lewis of Charing Cross Rd on reverse. Inscription reads 'To you Ken I wish the Best Always and I know you are the coming Champ | Frank Radcliffe'. In postmarked 'PHOTOMAILER' envelope with return address given by Radcliffe as 2468 7th Avenue New York City. 40 Autograph Letters Signed to him from various "old shipmates", mostly senior naval figures; with 9 portrait photographs, a photograph of the Royal Yacht Victoria and Albert and the seal in red wax of the Royal Hospital at Greenwich. Captain Charles Dickson Inglis, R.N. between 1858 and 1898; from various locations. Captain Charles Dickson Inglis, R.N. (born c.1835; fl. 1898), is best known for his offer in 1887 to buy South Georgia in the Falkland Islands for the purposes of sheep-farming. This collection of his correspondence is neatly bound in a crude octavo volume, and is preceded by a manuscript index by him. Items in good condition overall, with minor discoloration and spotting, mainly caused by the glue used in mounting the photographs. All the letters are 8vo and smaller, several of them being cropped at the head, but with the cropped strips loosely inserted. Sailing ships on the Hudson River, New York, viewed from Hoboken Docks. Undated but certainly nineteenth century. Evocative picture with docks to the right viewed through tree branches, and a number of boats and ships clearly visible, with three three-masted ones in the foreground, one sideways on and the two beside it viewed from the bows. Dimensions: 2¼ inches by 3¾ inches. Mounted on a piece of pink board which is docketed on reverse in nineteenth century hand: 'Hudson River. N.Y. from Hoboken Docks.' The picture is a little creased in the bottom left-hand corner and there is minor discolouration due to ink stains and grime.